The first time I saw The All Seeing Hand was on a darkened high ropes course. It was the last night of Camp A Low Hum 2012 and the remaining punters were floating around in that special state of mutual derangement so often reserved for the last night of music festivals. 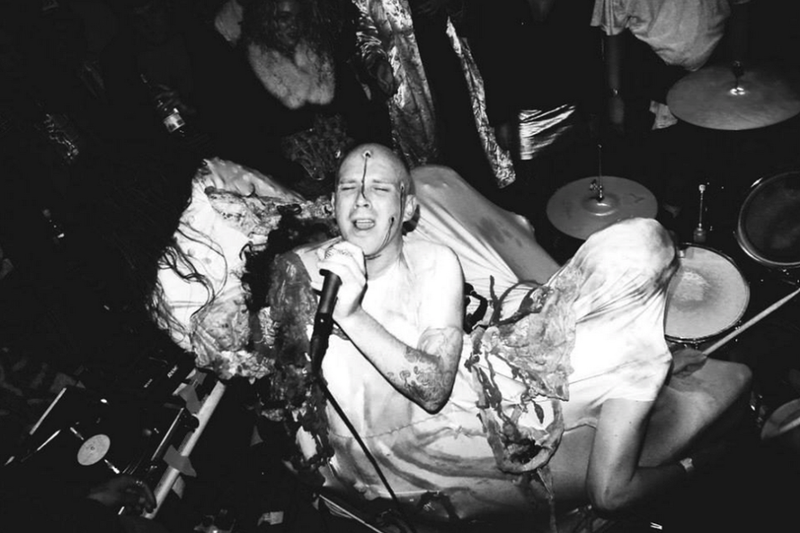 Whether it was the three silhouetted figures thrashing beneath an enormous eye, the breakneck, body-pummeling drum rolls, bass-heavy synth screams, or the likelihood that the entire crowd was tripping on acid, there was immediately a sense of the occult about this band. “Oh my god, what is this? !” yelled someone in the crowd. “This is mind control!” shouted another. Was this mind expansion or mind control? Inspired performance art, or visions of the possessed? Whatever it was, that night in the forest, we looked into the eye of The All Seeing Hand and everything changed. 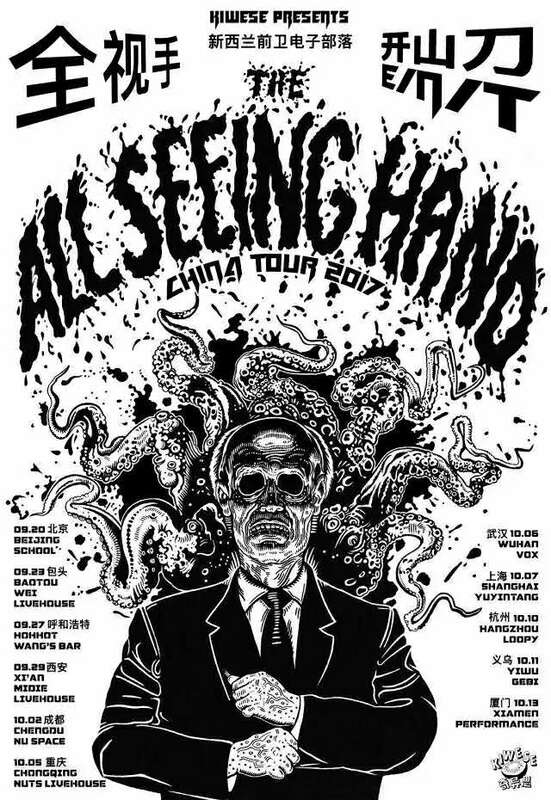 Tour kicks off in Beijing this Wednesday (9.20) at School Bar and follows up sloppier on Friday at Temple. 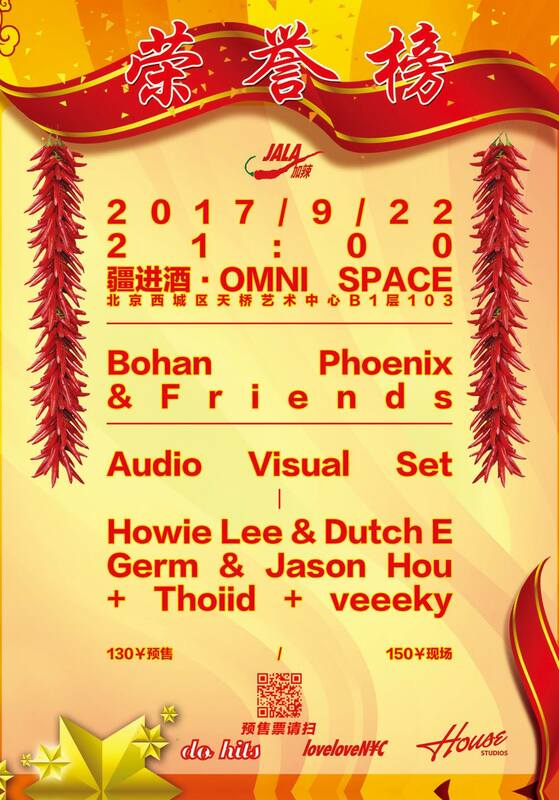 On Friday night, NYC based rapper Bohan Phoenix rounds the last leg on what’s been an extended China tour with a big Do Hits shindig at Omni Space. More than just a tour, this has been kind of an immersion experience for Bohan & DJ TOY, who’s gone along for the ride. They’ve done a deep dive in each city, meeting with local musicians, promoters, artists, and whomever else, finding a thread of emerging youth culture in each corner of China they’ve touched down in and documenting it. Look forward to some kind of video series coming from this team after their tour wraps. Last but not least: Ketchup Fest, a little DIY multiple-venue mini-fest by filmmaker Cab and Dirty Fingers drummer Alex. Lots to love on this thing, which happens this Saturday and Sunday (9.23-24) across three venues (DDC, Temple, Fruityspace), encompasses multiple genres and also throws in some fun extras like pop-up markets, talks and food. 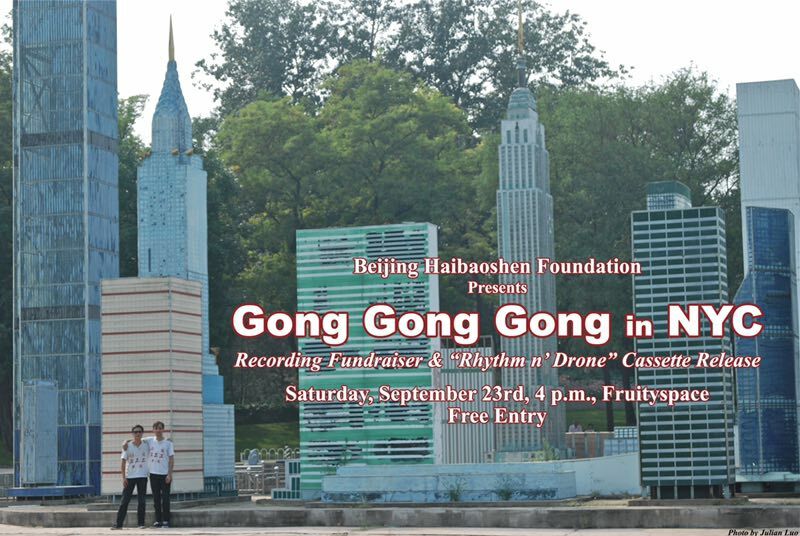 Readers of this publication will be most interested in the Saturday evening show at DDC with Gao Jiafeng, GogoJ, and Dirty Fingers, and in the Sunday afternoon portion of the festival (4pm on 9.24 at fruityspace), which features bruising post-No Wave (maybe-wave?) quartet Not in Catalog and Li Jianhong’s first set post-fatherhood. Bonus round later that evening at DDC with the grand finale featuring the unlikely pairing of SUBS and Dawei!